Made my way out to Highland Square for coffee (from Angel Falls) and to pick up the debut issue of a new print magazine The Devil Strip. 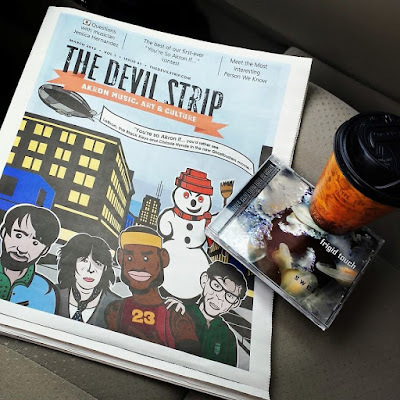 As a former ink-stained wretch (in a previous life I worked for the Cleveland Scene), Chris Horne deserves a large round of Kudos to for showing us that print isn't dead (yet). Already looking forward to issue two!